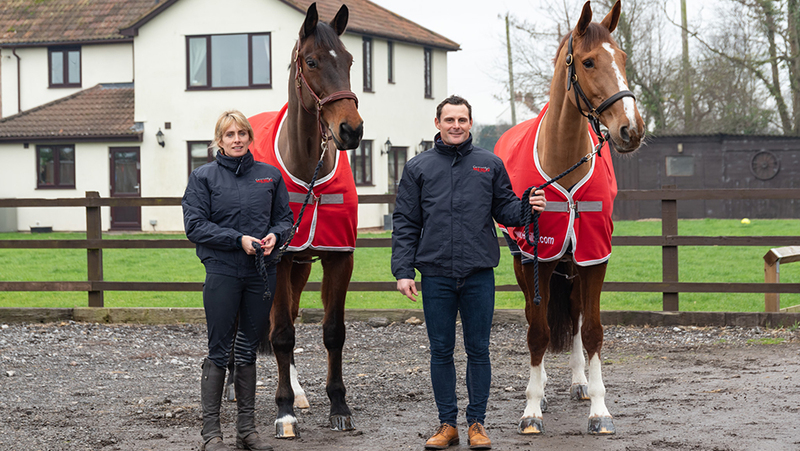 Global equine nutrition company Connolly’s RED MILLS has welcomed one of Britain’s best event riders, Alex Bragg, to its team of RED MILLS Riders. Alex and wife Simmone together run Team Bragg, based in Somerset, UK. Having grown up with horses, Alex started his career as a farrier, only turning to riding and competing when Simmone became pregnant with their first daughter. He has since gone from strength to strength, competing in Nations Cup teams and competing at all four European 4* events within one calendar year. After a successful 2018 season, finishing 12th in the British Eventing Top 100 Riders, Team Bragg is looking forward to an exciting 2019 season. Team Bragg is the latest signing to a strong squad of RED MILLS riders in eventing, including Tina Cook, Austin O’Connor, Sam Watson, Cathal Daniels, Beanie Sturgis, Lauren Blades and Charlotte Bacon.